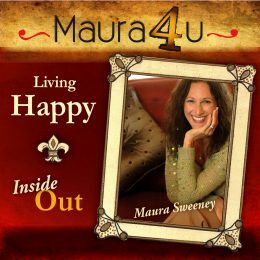 Maura Sweeney Podcast 088: Are You a Vaunter? Home / Maura Sweeney Podcast 088: Are You a Vaunter? You may be unfamiliar with the term, but you’ve definitely met a few! The vaunter is the braggart. He’s the one whose presence fills the air with an inflated ego that often turns the majority of us completely off. Sad to say, the role of the vaunter is so commonplace in society that most of us never take time to observe its effects or consider its bane outcomes. Yet if we’re truly looking for a happier, higher and more wholesome existence, we need to give vaunting a closer look. If you’ve ever met a vaunter and/or suspect you might be one yourself, you’ll find today’s podcast to be of interest. More than exploring the mindset and role of the vaunter, this podcast examines what can happen to any of us when our pride puffs up in unattractive, and often exclusionary, ways. The following podcast provides some food for thought on the topic and delivers an opportunity for you to practice some present day emotional intelligence. One day soon, your own profile may suddenly rise to new heights. When it does, you’ll want to keep your own dragon in check and continue to embrace and value all those “regular folks” around you. Want more insights into leading at a higher level? Listen here to podcast 015 entitled, Leading With Freedom. May you enjoy the fullness of your own greatness and appreciate the glory in others, too.